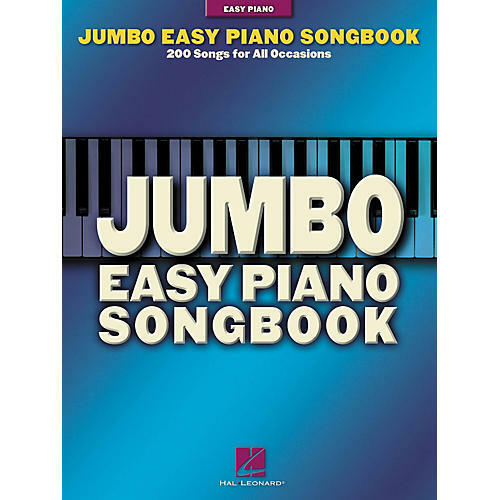 The ultimate Easy Piano collection! This amazing book features 200 classical favorites, folk songs and jazz standards. Highlights: Amazing Grace · Beale Street Blues · Bridal Chorus · Buffalo Gals · Can Can Polka · Canon in D · Cielito Lindo · Danny Boy · The Entertainer · Fr Elise · Greensleeves · Jamaica Farewell · Marianne · Molly Malone · Ode to Joy · Oh Marie · Peg O' My Heart · Rockin' Robin · Yankee Doodle · dozens more! Over 500 pages of music!